If the Holy Prophet (pbuh) were among us today, he would invite us to promote unity as this holy ayah says, “Grievous to him (the Prophet) is your falling into distress, excessively solicitous respecting you; to the believers (he is) compassionate” [The Holy Quran, 9: 128]. He would prevent these kinds of discord. 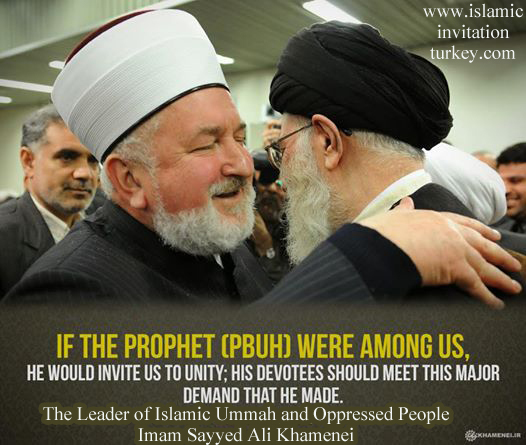 If we love the Holy Prophet (pbuh), we should meet this major demand that he made.